The Falkirk area has over 300 miles of paths and rights of way for walking and cycling. Many of these paths have been sign posted in partnership with local land owners and community groups. Within the wider path network, core paths are the basic framework of key routes that provide for the main needs of users. We have a duty to draw up a plan of core paths in our area in consultation with local communities, land managers and path users. These core paths are signposted and are likely to be the most popular paths. Core paths can be rights of way, farm tracks, promoted paths or other routes that provide public access to the countryside and urban areas. Not all core paths will be suitable for all users, but everyone should have a choice of routes available to them locally. Each path has been selected following careful public consultation and a consideration of the Core Path selection criteria. There are paths that did not meet the criteria for a core path but still exist and form part of the wider network of paths. Other places fall within general access rights where you can take access provided you act responsibly and follow the Scottish Outdoor Access Code. We are looking for outdoor enthusiasts to volunteer to help keep an eye on your local paths. 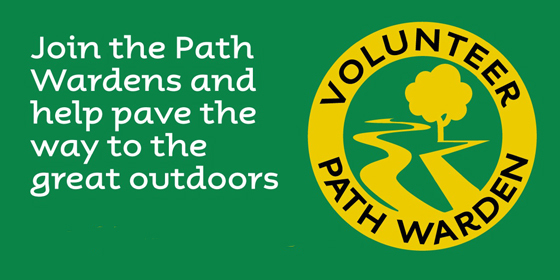 As a volunteer Path Warden, you will work with the existing outdoor access team in ensuring paths are accessible and safe. You don't need to be an 'access' expert, you just need to be enthusiastic about exploring your local path network. It’s also a great way to learn about what cultural, historical and geological features are in your local area and to learn more about local wildlife.